Franti has a brand new single, “Once A Day” from his upcoming debut album on Fantasy Records. “Once a Day” was inspired by his son’s diagnosis with a rare kidney disease called FSGS (Focal Segmental Glomerulosclerosis) in the hopes that this song would inspire anyone in the world who is going through challenging times. 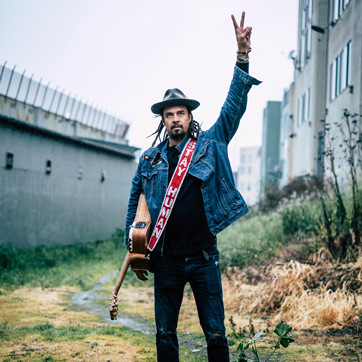 “My belief is that through music, dance and gratitude for this life we can all ‘rise up’,” explains Franti. “Once A Day” was produced by Supa Dups (Eminem, Damian Marley, Bruno Mars) and features special guest Sonna Rele. This new song has the same feel-good, inspiring vibe as “Say Hey (I Love You),” his 2x platinum hit single.